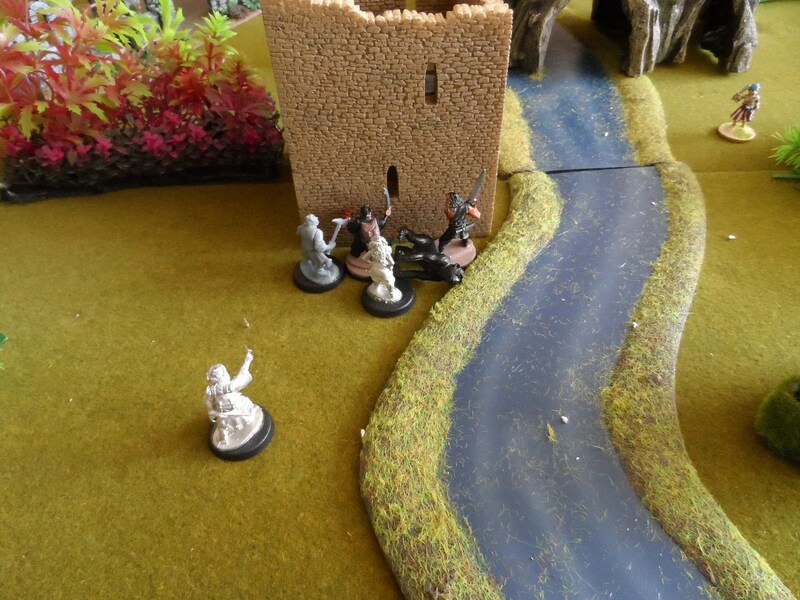 By now I’d sent a crewman into the abandoned tower after the central treasure. After the screecher monkey had been killed, again by mobbing by my crew. 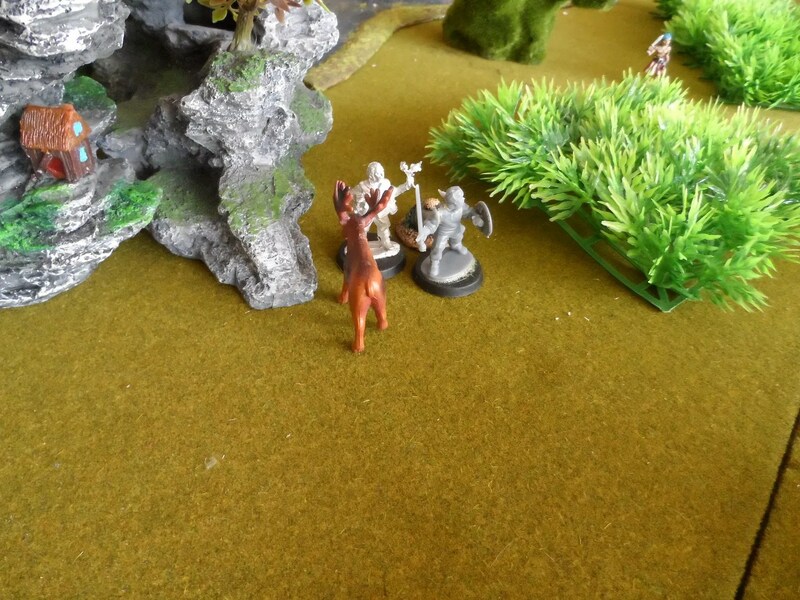 But not before a Mountain Goat had turned up, to attack the herbalist and his crewman sidekick. But not for long, unfortunately elsewhere one of my crewmen bringing up the rear went down. 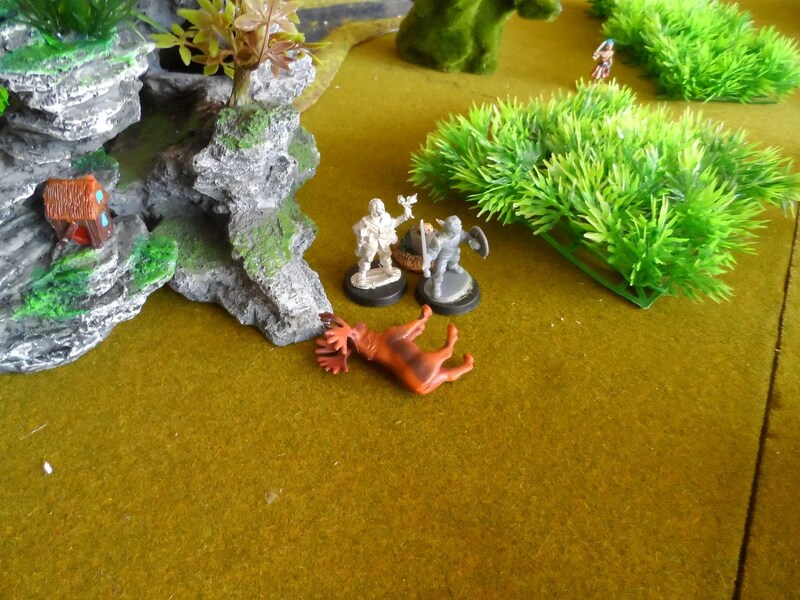 And then both a tree spider and giant crab, man turned up (typically I had not brought my crabmen with me). 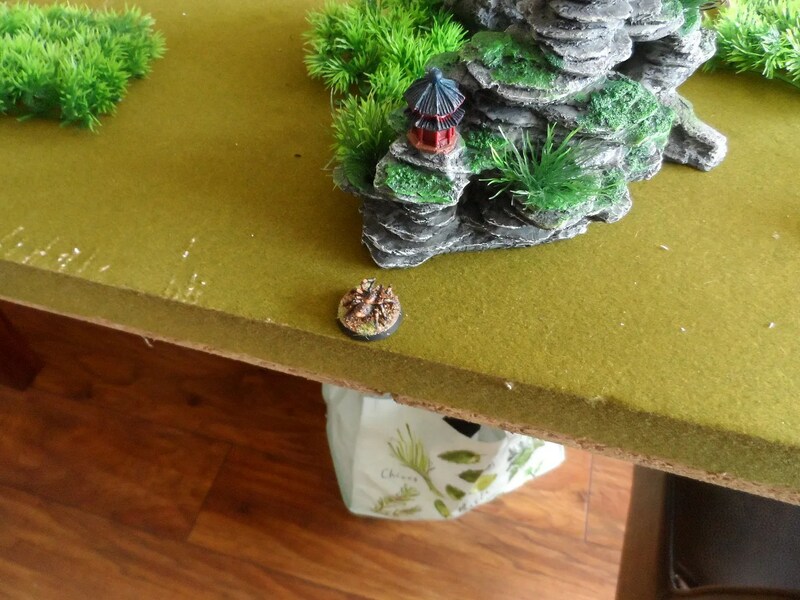 So a very out of scale Stegasaurus was used, and as you can see, the random monsters were getting in the way of me getting off the table with my loot. 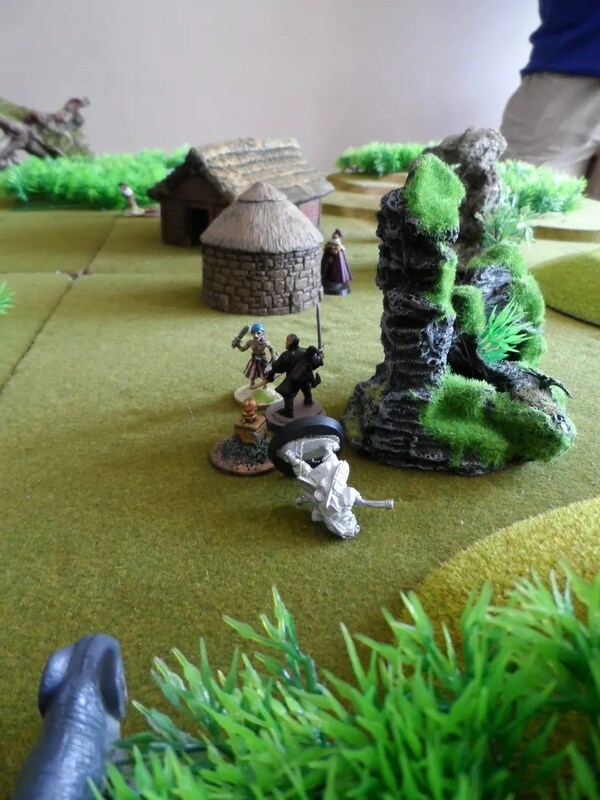 (upper part of the photo are my Guide and “Black Archer” trying to lift another treasure away without much luck I must say). No this really isn’t going to work. And it didn’t most of my crew went down on this side of the board. 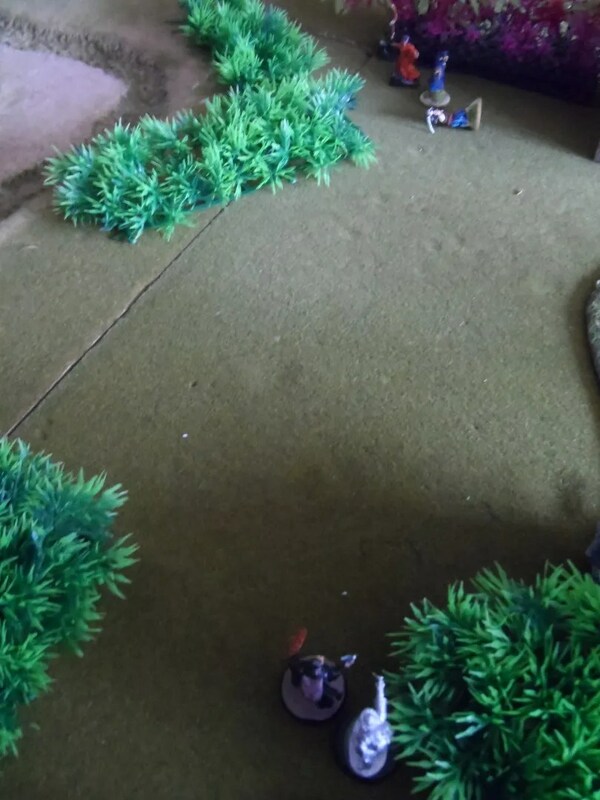 Of course this left the cabman to bear down on to Jim’s forces, along with blood bats, and the Eritrean, resulting in Doozlebat running away (again). lwaading to my Heritor with a hop skip and a jump, kill the tree spider, Sprint round pick up a treasure and bolt for it. 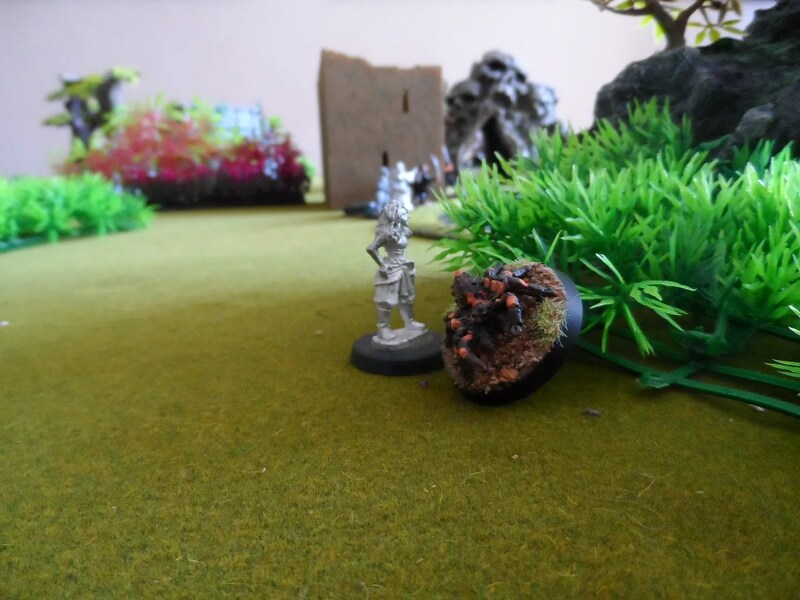 Whilst my warden undertook a rearguard action fending off his opposing number with traded “projectiles” leading to casualties on both sides. I had the central treasure (forgot to climb the tower with my Heritor), plus one ordinary treasure. Jim’s heritor Doozelbat had two ordinary treasure, but the fifth one was unclaimed. Therefore I won, but I feel it was a somewhat hollow victory. 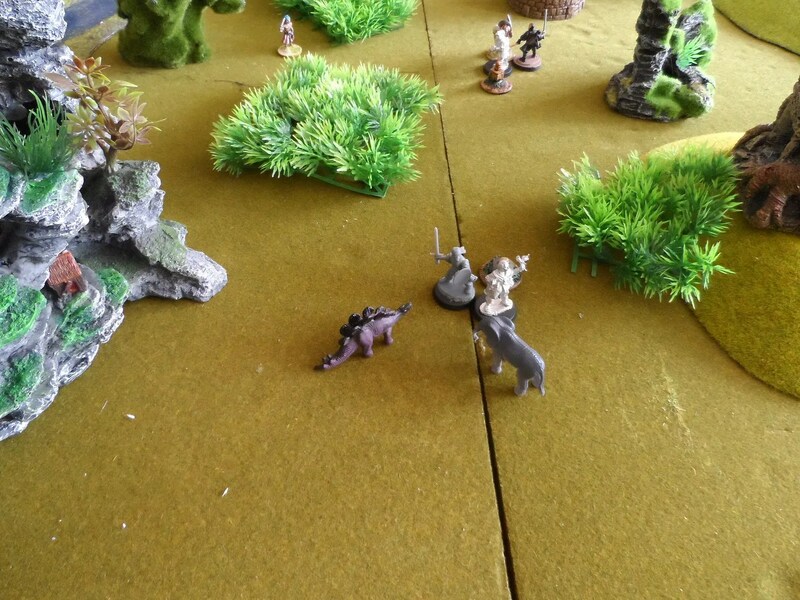 I’m aiming to have stuff ready for either the Stone Circle or the Saurian breakfast as our next scenarios.